A lot of people might be happy with watching regular TV programming using a set-top box, and indeed the quality of content on most TV channels is much better today than it was a few years ago. Movies, sports, music and the news are all there, but the biggest problem with this method of accessing content remains the schedule. You need to tune in at the right time, or make do with whatever is playing when you tune in. However, a lot of people are now opting for a more convenient way to watch video content — streaming. The easiest way to access video content is through an app on your smartphone, which can either use mobile data or connect to Wi-Fi to access the content you want. But the biggest issue with that is the screen —it's too small and doesn't make for a great viewing experience. That's where streaming devices come in. These small gadgets only need power and a connection to your TV to fetch online content from free and premium streaming services, letting you access a massive catalogue of quality video content that includes TV shows and movies, while enjoying the viewing experience on your big-screen TV. Why should you buy a streaming device? The best reason to buy a streaming device is to enjoy on the big screen the wide variety of content on offer on streaming services right now. While a lot of really good TV shows and movies can be viewed on traditional cable or DTH TV, some of the best new TV shows are being released by streaming services that double-up as production houses; shows such as Narcos, the innovate interactive film Black Mirror: Bandersnatch and The Grand Tour, as well as movies such as Bird Box and Mowgli: Legend of the Jungle were released exclusively on streaming services such as Netflix and Amazon Prime Video. Furthermore, popular shows such as Game of Thrones can be watched first on streaming services, even before they are aired on TV in our country. Apart from these, there are also numerous other popular shows and movies that are available to watch on-demand on streaming services, so you can choose when to watch whatever you want to watch. You can even pause when you need a break, or watch an entire series in one go rather than wait and watch an episode every week. The idea of streaming suits anyone with a busy and unpredictable lifestyle. Streaming devices only need a good Internet connection at home and the right TV to make the most of the features of whatever device you buy. If you have a 4K HDR TV, it would make sense to opt for a device that supports 4K streaming. It's also worth picking your device based on the streaming services you intend to access; make sure the services you use most often have proper apps on the streaming device you pick. With an excellent interface, good apps for most popular streaming services, and the ability to stream 4K and HDR content, the Amazon Fire TV Stick 4K has practically everything you need at what we consider to be a very reasonable price tag of Rs. 5,999. Although the Fire TV Stick 4K does tend to promote content from Amazon Prime Video for obvious reasons, you do have access to other services as well. This includes Netflix, JioCinema, Hotstar, Gaana, Sony Liv, Voot, Zee5, NDTV, Huffington Post and Washington Post, to name a few. Some of these services allow users to access to content for free, while others may need you to be subscribed to a paid plan. Amazon Prime Video, the primary content platform on the Fire TV Stick, is itself a paid service as part of the Amazon Prime subscription. Once you've subscribed, you also have access to Amazon Prime Music, and can stream music directly on the Fire TV Stick to be played on your TV. Additionally, the Fire TV Stick includes an excellent remote that is Alexa-enabled, letting you give voice commands to fetch video and audio content quickly. 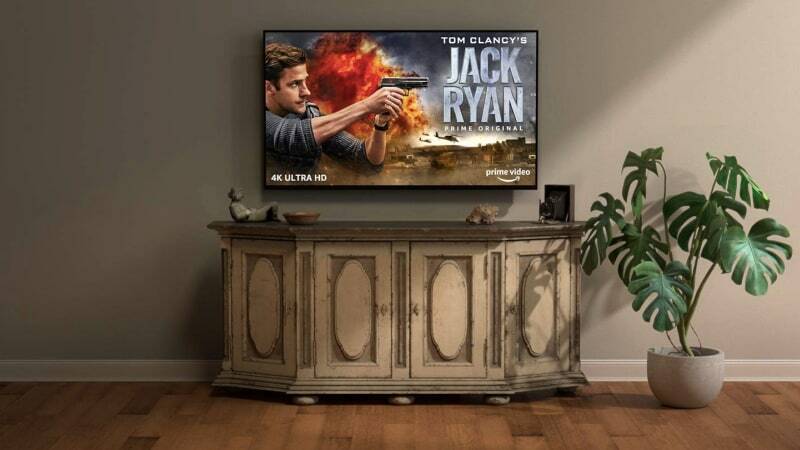 There is a growing catalogue of 4K and HDR content, including popular shows such as The Grand Tour, Marvelous Mrs. Maisel and Electric Dreams, as well as content made for India such as Mirzapur and Comicstaan, along with lots of regional movies and TV shows. You can also install a play games on the Fire TV Stick range. Perhaps the biggest weakness of the Amazon Fire TV Stick 4K is the lack of a proper YouTube app. There is an app that functions as a web browser and loads up a web version of YouTube optimised for TV viewing, which works for the basics. However, if you tend to view most of your online content on the free and extensive YouTube platform, the Fire TV Stick 4K may not be the best option for you. If you don't have a 4K or HDR TV, you might prefer the regular Amazon Fire TV Stick. It's slightly older, a fair bit more affordable and offers the same interface and apps as the 4K version. Of course, you can't stream 4K and HDR content with resolution limited to full-HD, but this is a non-issue if your TV doesn't have the capabilities. The regular Fire TV Stick is priced at Rs. 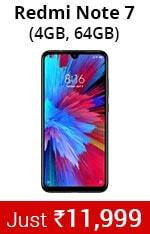 3,999 and has one advantage over its more expensive sibling - you can directly mirror your smartphone's screen onto your TV using Miracast, if the feature is supported by your phone. UPDATE: The Amazon Fire TV Stick 4K also now supports screen mirroring through Miracast. Many argue that the Apple TV range performs better than the Amazon Fire TV Stick range, and we tend to agree. Picture quality, stability and smoothness of the interface are superior on the Apple TV in our opinion, but the high price of the Apple TV range is what brings it down to runner-up status. The Apple TV 4K is priced at Rs. 15,900 for the 32GB version, going up to Rs. 17,900 for the 64GB version, making it close to thrice the price of the Amazon Fire TV Stick 4K. If you have other Apple devices, this pricing premium could be worth it for you. With support for Airplay, you can quickly and smoothly mirror your Mac or iOS device's screen on your TV using the Apple TV. 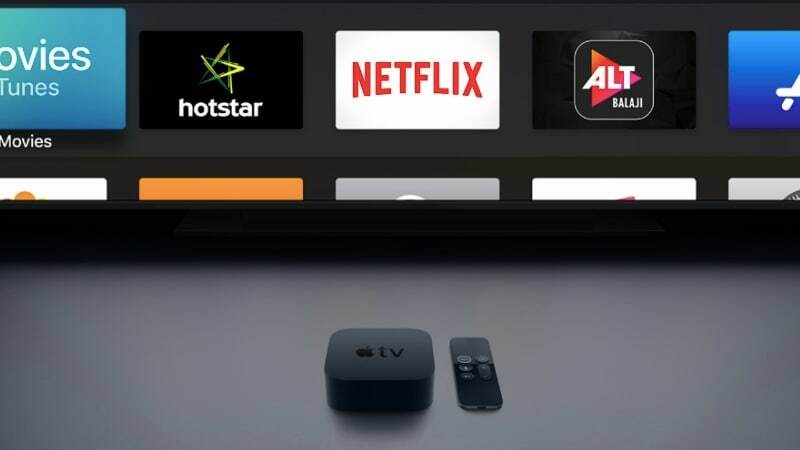 Furthermore, with the Apple TV 4K, you can access 4K and HDR content from providers that support it, which includes iTunes Movies, Netflix and Amazon Prime Video in India. If you depend on YouTube, the Apple TV range does have an official app; 4K streaming isn't supported, though. Others apps are supported as well, including Hotstar, JioCinema, The Washington Post, NDTV, Sony Liv and Zee5, among others. Like the Fire TV Stick, you can also play games on the Apple TV, with a bigger and better catalogue of games available as compared to the Fire TV Stick. And just as the Fire TV Stick lets you stream music from Amazon Prime Music, the Apple TV lets you access your Apple Music subscription to stream audio tracks. If you don't have a 4K TV, you can also opt for the Rs. 12,900 Apple TV 4th Gen, which streams at up to full-HD resolution and offers largely the same experience as the 4K variant. However, the general high pricing of the product range makes the Apple TV ideal only if you are highly invested in the Apple ecosystem and don't mind spending a bit more on the device itself. Although the Chromecast is a traditional streaming device, it works differently to the Amazon Fire TV Stick and Apple TV. Rather than function as a standalone device, the Chromecast range serves as a bridge between your smartphone, tablet or computer, and TV. You use apps on your phone to decide what you will be watching, and then ‘cast' it to the TV. It's a less-refined approach, but gets the job done nonetheless. You can also directly mirror your Android phone's screen on the TV. The Rs. 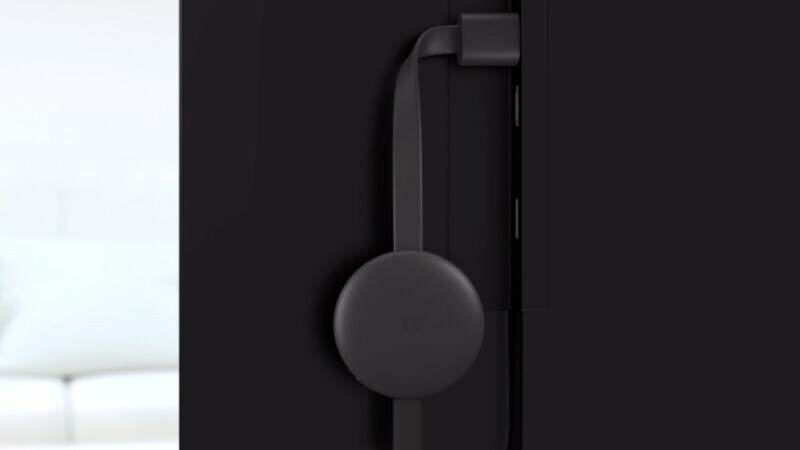 3,499 Chromecast 3 does have its restrictions as compared to the Apple TV and Amazon Fire TV Stick, but the ‘casting' feature is supported by a number of apps; Netflix and VLC, along with Google's own apps such as YouTube, Google Play Movies and Google Photos, all support casting. When you're casting, you can continue to use your smartphone as you normally would. The Google Chromecast Ultra is a step above the Chromecast 3, supporting 4K streaming. You can therefore use it to cast in 4K with compatible apps, allowing you to watch 4K content on services such as Netflix and YouTube on a compatible TV. However, the Chromecast Ultra isn't officially available in India. There aren't too many streaming devices available in India, with the three options above being the only noteworthy devices that you can officially buy in the country. Between these options, most popular streaming services are available through official apps or compatibility. We've also extensively used these products ourselves, and have crafted our recommendations based on our experiences with the products and what we believe are the best in terms of value-for-money and functionality. There are various streaming devices available, with many of the most affordable options essentially enabling screen mirroring from smartphones or computers. If you have the option to shop outside India, options such as the Roku range or NVIDIA Shield TV might also be worth considering. You can also use a gaming console to stream, with modern consoles such as the Sony Playstation 4 and Xbox One X coming with dedicated apps for streaming services. You can also buy a smart TV with a good operating system, and not have to buy a streaming device at all. Finally, using an HDMI cable to connect your laptop or computer to your TV is the most affordable and arguably easiest way to add smarts to the big screen. You can simply load up content through dedicated apps or a browser on your laptop, and watch it on your TV.